Many thanks for the Gazette references. I htink we have been pushing the boundaries of the great War here, so perhaps this topic could stick to great War subjects from here on. I ahve not removed the recent posts as "nearly on topic"
Although a late-comer to this forum I can add a little information about one of the armoured cars, HMAC Bloodhound. 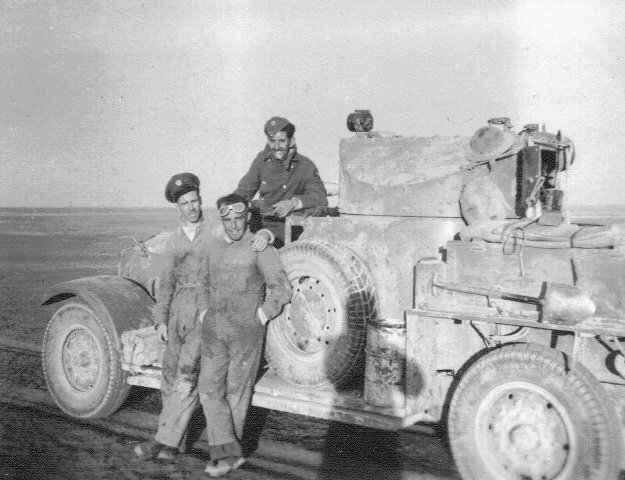 My father Ralph Beaney served in the RAF 1st Armoured Car Company on 1940-41 in Iraq and then the Western Desert and he was gunner/driver of Bloodhound. 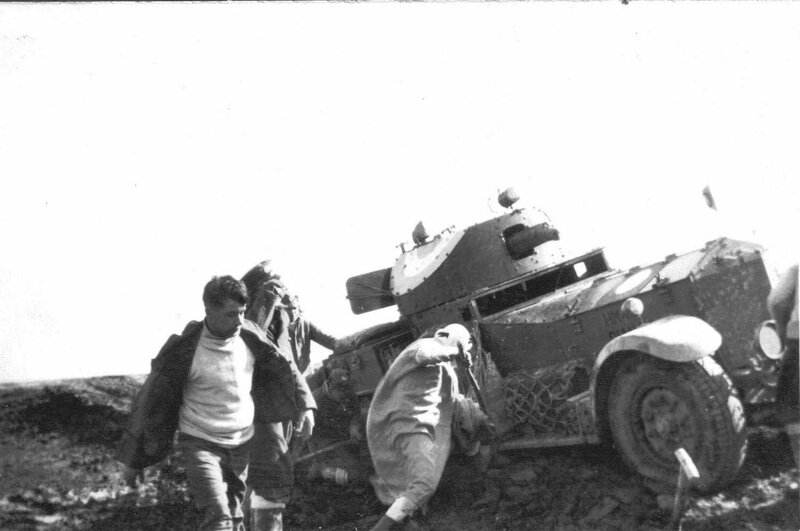 It definitely was still an armoured car at that time and had not been converted to a tender as hypothesised above. He was stationed at RAF Habbaniya in 1941 during the Rashid Ali revolt. He also used to tell us about being at Kirkuk and Damascus with Faisal and then in the desert, He was finally invalided out with appendicitis in late 1941 having an emergency operation in a tent by a man who was a famous Harley Street surgeon. 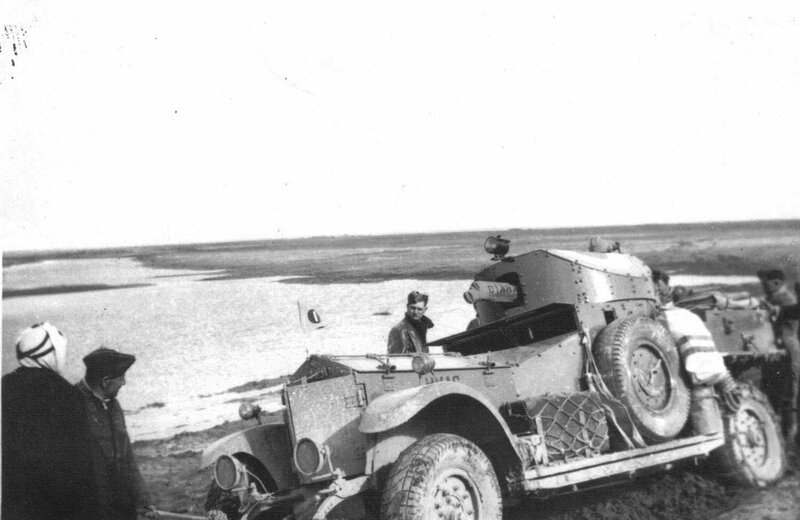 He believed that Bloodhound was one of the cars which served with T E Lawrence. At some point the cars in his section received additional armour plate. Apparently the "griff" was that this armour was some that came off HMS Hood when that iconic ship was refitted but this seems unlikely. 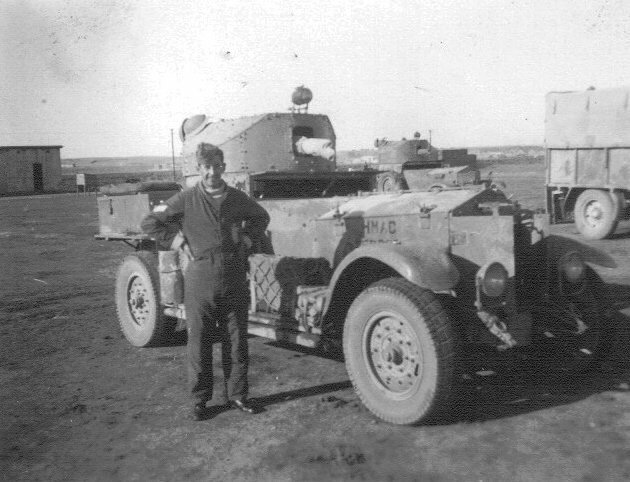 Back in 2008 I corresponded with John Rolph who was collaborating with Dr Nigel Warwick in the compilation of a history of the RAF Armoured Car Companies from 1921 to 1953. He wrote that "Have done a bit of research on HMAC Bloodhound. It might have been good fortune that your father was hospitalized in November 1941 as three armoured cars were destroyed by enemy action in the retreat in Libya in January 1942, Bloodhound being one of them." The book "Warcars" is about British armored cars in the WW I period. That is a great photo of Bloodhound. The car in your photo is a 1920 Pattern MK I. It served in 1st Armoured Car Company, RAF in Iraq during the 1930s and into WWII. 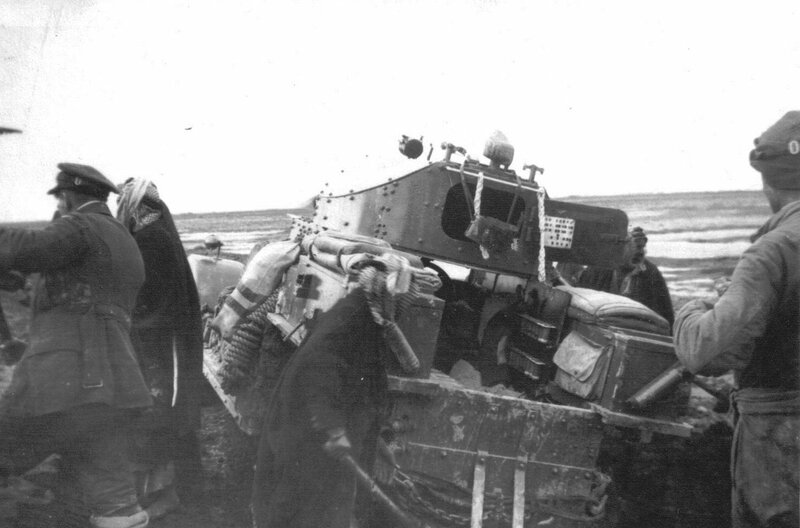 It appears to have been the second Rolls-Royce armoured car to have this name. The first Bloodhound was a 1914 Admiralty Pattern car that served in France and Egypt in WWI, initially with No. 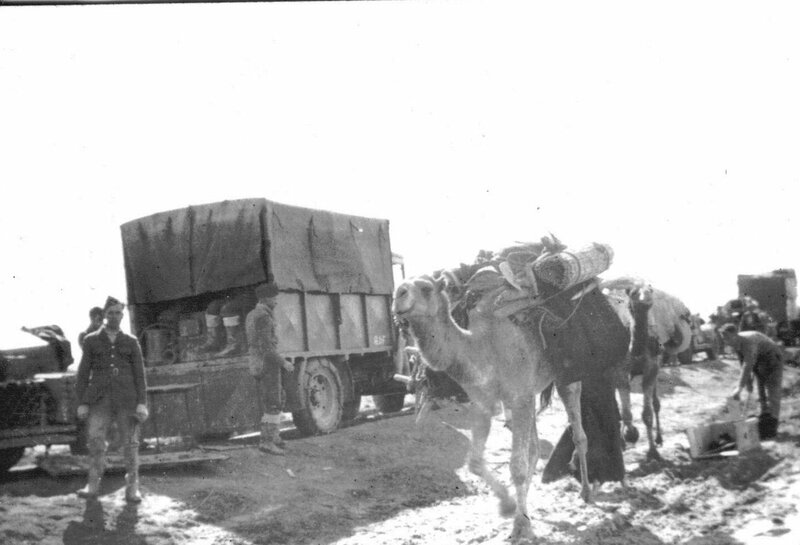 2 Squadron of the Royal Naval Armoured Car Division but later turned over to the Army. It was the earlier 1914 car that was converted into a tender during WWI. The most visible differences between the two patterns are the height of the turret and the presence of the louvered plates on the armoured doors which protect the radiator. Do you have any more photos of these wonderful cars? I would love to see them! Here are more pictures from my father's war service in Iraq. The first is a parade in honour of the King's birthday in 1940. The second illustrates "Battle Formation" and the third depicts RAF Armoured Car Company 1 titled RR AC 01. Apologies that it has taken so long for me to respond. Here are some further photos from that time. 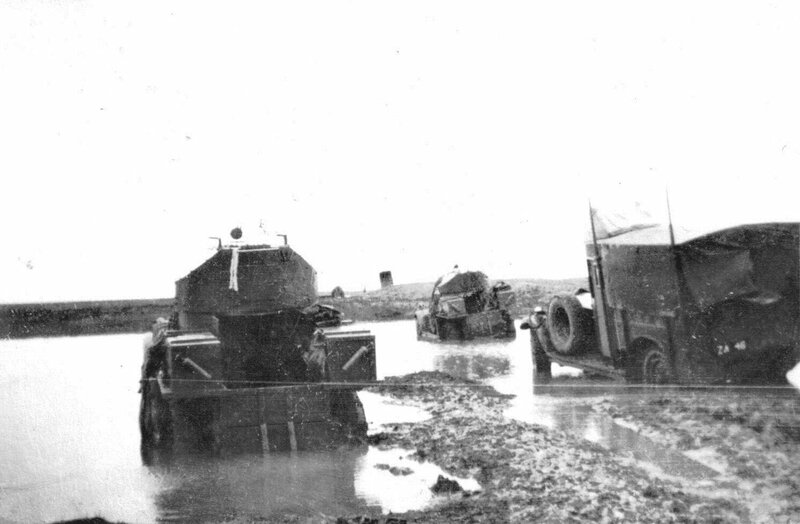 The first five show the difficulties experienced negotiating floods at Fallujah in 1940. The last two were of members of the company with cars in the background.